Did you recycle a soda can today? That simple act created enough energy savings to let you listen to a full album on your Smartphone. When we recycle one ton of plastic, we can save up to 2,000 gallons of gasoline. That’s because it actually takes less energy and recourses to make something from recycled material as opposed to making it from original materials. 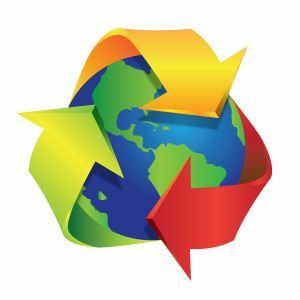 Various cities and states across the country have instituted special recycling laws in an effort to achieve zero waste status. New York was the first state to ban e-waste from the trash. Things like old TVs, computers and other electronics have to be recycled or you could face a $100 fine. Speaking of television, that same soda can you recycled could also save enough energy to run your television for two hours. The trash we generate can become a direct harm to the creatures we share the planet with, especially those living in the ocean. Although we’ve greatly improved our recycling efforts, there is still 14 billion pounds of garbage dumped into the ocean each year. Most of that garbage is plastic. That means it’s not going to break down or disappear. Recycling paper is all about saving trees. One ton of recycled paper represents 17 trees that won’t have to be cut down. Recycling isn’t just an American habit. In Finland, 9 out of 10 plastic bottles are recycled. They also recycled 100% of glass bottles. That’s impressive by anyone’s standards. Making soda cans out of recycled aluminum saves up to 95% of the energy cost that would go towards processing new aluminum. That’s a big boost for companies and for the environment. Around your home, you can do your part by continuing your recycling program but it can go beyond the recycle bin. If you hire Junk King Phoenix to haul away your rubbish, then you can add your junk to the recycling circuit. Junk King has been dedicated to recycling the bulk of what they collect since they started the business. Make sure your junk gets recycled by turning it over to Junk King Phoenix today. This entry was posted in Phoenix junk recycling and tagged Junk King, junk removal, recycling on November 28, 2017 by Junk King. Last updated November 28, 2017 .